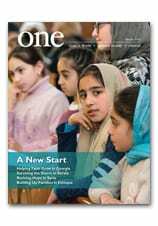 Leaving behind economic hardship, religious persecution and war — and in many cases family, friends and culture — Middle Eastern Christians have flocked to the United States in increasing numbers over the past three decades. They have been immigrating to the United States and other Western countries since the late 19th century, but migration has increased as political and economic conditions have deteriorated in their home countries. About a quarter of a million Christians have left Palestine since 1948. Roughly the same number has left Lebanon since the end of its civil war more than a decade ago. In coming to the United States, Christians from Egypt, Iraq, Jordan, Lebanon, Palestine and Syria bring with them rich traditions they hope to preserve amid the dominant American culture, which their children often absorb. Mr. Nahabet and his wife, Nora, an Armenian from Lebanon, send their two children, Eddie and Natalie, to an Armenian school. They speak mostly Armenian in the home, but Natalie says she mainly speaks English with her brother and her friends. The Nahabets live in the Los Angeles suburb of Chatsworth, not far from another suburb, Glendale, where one in four residents is Armenian. An estimated quarter of a million Armenians — many from the eastern Mediterranean where Armenians have lived since the Middle Ages — live in Southern California. Mr. Nahabet immigrated to the Los Angeles area at age 24 to start a business. He bought a service station, which he operated for 10 years before going into publishing. Large numbers of Christians — often wealthier, better educated and with more connections to the West than their Muslim neighbors in the Middle East — take advantage of the opportunities available to them in the United States and Europe. Read more about East Goes West in the January 2004 issue of the magazine.